New Online CropClimate Tool Can Aid Preplant Decisions. Provides projections based on historical data and climate predictions for the upcoming cropping season; features 11 areas to aid in pre-planting decision-making. 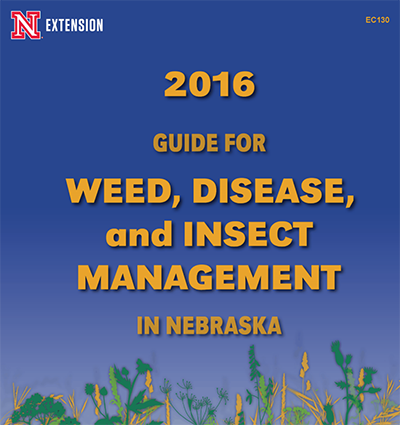 2016 Nebraska Guide for Weed, Disease, and Insect Management Now Available. With more than 300 pages of information, this is a must-have for growers, advisors, and crop consultants. Atkinson, Jan. 26 | Ord, Jan. 27 | Central City, Jan. 28 | More in Feb.